Since 2017 we have been charting a concept of mobility in transition with our semi-annual Automotive Disruption Radar (ADR). The current fourth edition confirms the main developments: more and more people think that using a car does not necessarily mean that you have to own one, consumers can increasingly imagine buying a car with electric drive and more and more cities are granting permits to trial autonomous vehicles on their streets. Last but not least, the number of employees in R&D departments around the world working on new mobility concepts and autonomous vehicles is still rising. More and more people all over the world use demand-driven mobility modes like car-sharing and ride-hailing. And they consider buying an EV as their next car. In some of the ADR's dimensions momentum has even increased. For example, in the 17 months since the first ADR was published, customer interest in new mobility services has climbed new highs. Here as in most of the other 26 industry indicators China holds a leading position. Some 75% of the Chinese survey respondents used an app at least once a week to plan a journey and 65% said they are interested in buying an electric car – more than three times as many as in the US. 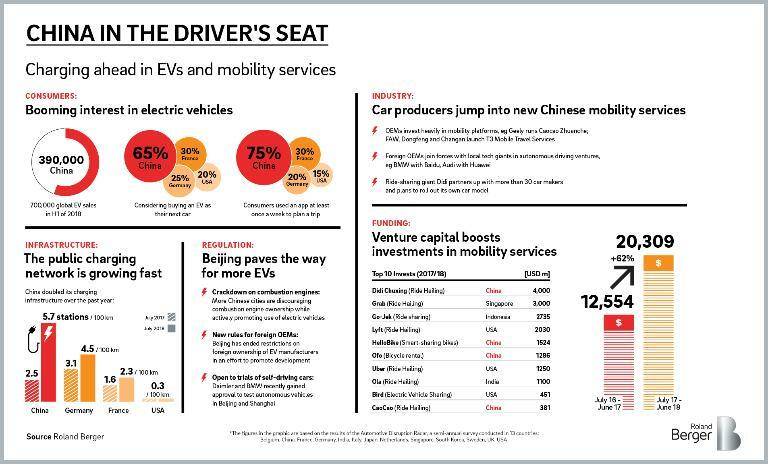 Not surprisingly, the country is in the driver´s seat of the global EV revolution selling by far the most EVs in the first half of 2018, with 390,000 vehicles representing 3% of total sales in China compared to the US in secondplace with 120,000 vehicles. On the other hand, people in traditional carmaking nations such as Germany, France and UK still show quite low levels of interest in electric mobility (35%). As in the previous issues of the ADR, price is globally the most quoted reason for not buying a battery electric vehicle, followed by poor charging infrastructure. Interest in automated taxis, so-called robocabs, has also intensified. Half of all respondents said they would prefer using one instead of a car if robocabs were cheaper. That accounts for a rise of 5% from the previous ADR. In terms of regulation, China is accelerating away from the competition too. 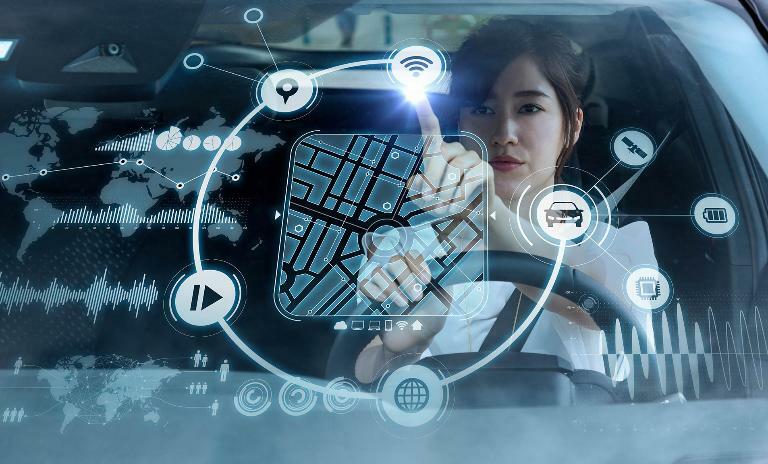 The country´s largely standardized guidelines and openness to trials of self-driving cars has turned the world´s largest car market into an important potential market for large foreign manufacturers like Daimler or BMW. Both companies recently gained permits to trial autonomous vehicles on the streets of Beijing and Shanghai respectively. At the same time the country is trying to gain leadership in new technologies like vehicles-2-everything communication (i.e. connection between the vehicle and its environment), a field so far dominated by US-companies like Tesla and Alphabet´s Waymo. In other countries regulation also made progress. In the UK, for example, the Automated and Electric Vehicles Act became law in June 2018. It makes the UK a leading nation in autonomous vehicle legislation, alongside other pioneers such as the US, Singapore and the Netherlands. And while several countries try to enable new mobility concepts, others are struggling with rising opposition in society or still caught up solving problems of the “old” automotive world like the Dieselgate scandal in Germany. When it comes to industry action in ADR4, China again performed strongly. 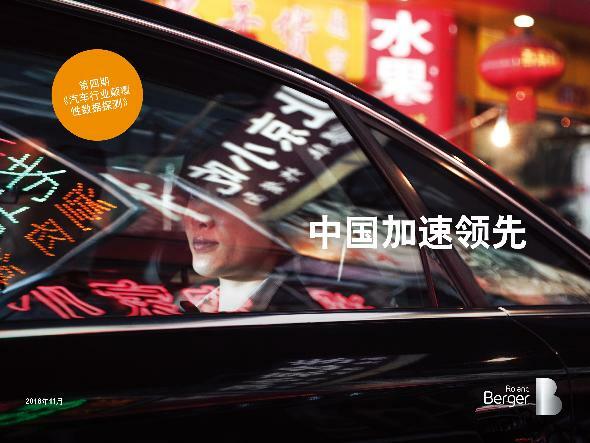 Several big players in China´s automotive and technology sector just recently agreed or strengthened partnerships: BMW was offered a seat on the board of Baidu´s autonomous driving platform; Daimler announced to deepen its partnership with Baidu and Audi, and Huawei signed a strategic cooperation on autonomous and connected technologies, just to mention a few. ADR4 also shows that the last 12 months were a busy year for investors. Venture capitalists poured more than USD 25 billion into mobility services and artificial intelligence (AI). One year ago the figure was USD 14 billion. The growth rate in AI-investments is especially impressive: a plus of 153%. Again, Chinese AI companies like deep-learning specialist SenseTime, raising a record USD 600 million, were the major beneficiaries. But it´s not only capital, the number of R&D employees working on mobility services and autonomous driving is also continuously increasing. Compared toa year ago, the figure rose by 27% to an all-time high of 57,000 employees. Patent approvals also increased significantly, with the share of patents relating to autonomous vehicles rising from 2.2% in 2017 to 3.9% in the first half of 2018. 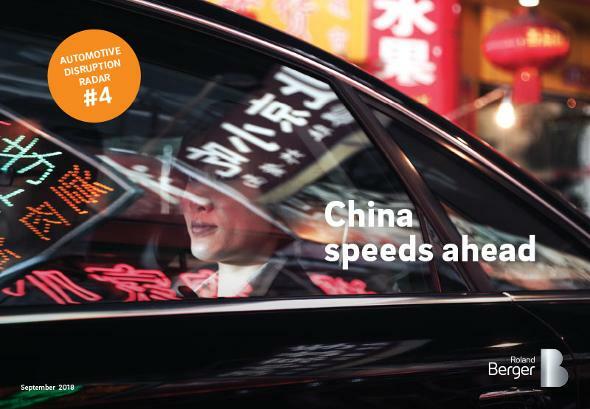 In summary, ADR4 shows that the world´s largest car market, China, has extended its lead when it comes to disruptive mobility services like autonomous driving and car sharing. No other country is as advanced and as open. Overall, Asian countries lead the ranking, with China closely followed by Singapore and South Korea, whereas most Western countries are stagnating or moving slowly. Another interesting finding of ADR4 is that no one mobility brand yet dominates the global market. Though Uber rates highest, only 46% of respondents know the brand followed by blablacar (20%) and Daimler´s car2go (9%). The battle to be the brand globally known to a majority of people is yet to be won. What type of disruptive mobility will prevail? And which countries and players will sit in the driving's seat? Find out in the current issue of our Automotive Disruption Radar.